Home Office data have revealed a huge surge in the amount of certain drugs being taken off the streets. The quantity of cocaine seized by police in the West Midlands has risen by nearly one-fifth in a year, with a gram now recovered every 4 hours, on average. In addition, crack and heroin seizures have hit their highest levels since modern records began. The data show West Midlands Police found 2.3 kg of cocaine in 2017/18: the equivalent of a gram every 3 hours and 46 minutes. This amount has risen 15% from 2 kg in 2016/17, and is the biggest annual haul of cocaine since records began in 2009/10. 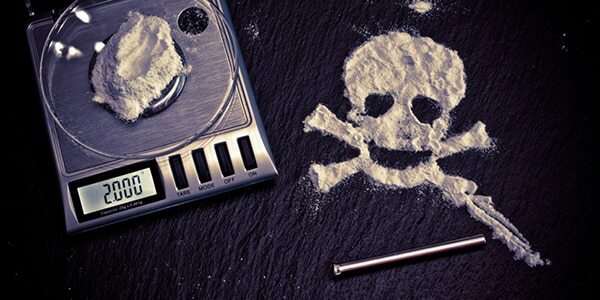 Cocaine can be detected in urine, saliva, hair and nail clipping samples. The tests available to determine cocaine use vary in their windows of detection so recent or chronic use can be established. Urine drug testing is the quickest way to establish whether someone is misusing cocaine and can provide an immediate result. The donor provides a sample of their urine in a fully-contained screening pot, which is then analysed for particular substances. Urine drug testing is known as a ‘narrow-window’ form of testing as its period of detection is only a few days, although this can depend on the particular substance taken. Most drugs will be flushed out of a person’s system in a matter of days. Cocaine, and other drugs such as MDMA and methamphetamine, can be present in urine for roughly 3-5 days. AlphaBiolabs’ urine drug test kit can analyse 14 drugs and their metabolites. Oral fluid drug testing involves analysing a sample of saliva. The entire test takes 20-30 minutes and involves placing an absorbent collection device (similar to a large swab) inside an individual’s mouth for a few minutes to soak up sufficient saliva. This is another ‘narrow-window’ form of testing and is therefore a quick test to determine recent cocaine use. Its period of detection is approximately 30-60 minutes after ingestion – up to 48 hours – although, again, this can depend on the particular substance taken. Hair drug testing is used to provide a more comprehensive overview of a person’s cocaine use. This is known as a ‘wide window’ form of testing as it can determine a history of drug intake for up to 12 months. After cocaine is absorbed into the bloodstream, metabolites are absorbed through the root of the hair and become embedded in the hair shaft. These metabolites remain in the hair as it grows, hence it is a suitable method for detecting a person’s historical cocaine intake. By segmenting head hair samples into monthly 1 cm sections, a month-by-month profile of cocaine use can be attained. Analysis of small segments can help establish a positive hair test in a narrow timeframe, but unlike saliva and urine tests, hair strand analysis cannot show recent drug history. It can take between 7-10 days for the hair containing the drug to grow above the scalp. Cocaine can be detected in nails because when it is consumed, its metabolites circulate in the bloodstream. These substances pass from the blood vessels below the nail into the keratin fibres as the nail grows. They then become trapped and can thus be detected. Either fingernails or toenails can be used for the test, but not a mixture. Approximately 10 mg of nail is required in total and they need to be collected as close to the nail bed as possible. Unlike hair drug testing, nail drug testing won’t give a historic segmented pattern of drug use, but it will give an overview of up to 6 months. For information on any of AlphaBiolabs’ drug testing solutions, including our home drug testing kit, please call 0333 600 1300 or email us at info@alphabiolabs.com.